What is the “real” price of bitcoin? Even before Bitcoin was part of the zeitgeist for the digerati, people have been guessing what the price of a bitcoin should and should not be. As an amusing thought experiment, imagine that Bitcoin is successful and becomes the dominant payment system in use throughout the world. Then the total value of the currency should be equal to the total value of all the wealth in the world. Current estimates of total worldwide household wealth that I have found range from $100 trillion to $300 trillion. With 20 million coins, that gives each coin a value of about $10 million. Hal Finney, brilliant engineer and the world’s first Bitcoin price divinator. Over the subsequent weeks, months and years there has been no shortage of guesstimates and “technical modeling” that gauge what the price will be. For instance, a year ago (in February 2014), Founders Grid asked 50 Bitcoin “experts” what their bitcoin price predictions were over the next year. The end result — all but a couple were completely, very wrong (see this spreadsheet for a line-by-line itemization). Later, in May 2014, CoinTelegraph asked (video above) more than 30 Bitcoin “experts” as to what their bitcoin predictions were for the end of 2014. Once again, all but a couple were completely, very wrong. How could passionate enthusiasts who pay attention to Bitcoin-related news be so wildly off on what some consider a “sure-bet” moon shot? Is there a “fair” price? A couple days ago CoinDesk interviewed Denis Hertz, a project manager at ALFAquotes who has created the “Fair Bitcoin Price indicator.” And that according to its calculations, the current fair price is $518. How has he calculated it? First, it calculates the changes in the cost of mining equipment and its performance. Next, it attempts to assess the change in difficulty of production, factoring in the electricity costs faced by miners on the network. In particular, Hertz indicated that the fair value tool should be embraced by miners, as the price today is lower than the fair price – a factor he attributes to the recent string of bankruptcies and closures in the sector. There are a few mid-to-late 19th century German economists that would be happy to see — what is effectively — the Labor Theory of Value as back en vogue. But it is disingenuous to attribute value based on inputs because it wholly ignores the subjective valuation of the demand side of the equation. It is not a valid way to measure value of a widget (or virtual commodity in this instance) for the same reason that the value of a Renoir or Matisse painting is not based on the value of the inputs (oil paint, canvas, brush, frame, etc.). It is unclear where this theory first started in relation to bitcoin, perhaps it was from Curtis Yarvin, who writes at Unqualified Offerings as Mencius Moldbug (he briefly discussed this idea four years ago). The main thrust of this idea is that because some market participants buy and perma-hold an asset, it removes supply from the market, thereby ceteris paribus — assuming the same quantity demanded — it should eventually push market prices higher because less supply is available. Or in short, if people hoard bitcoins, their price will somehow rise. Their are multiple problems with this theory. Financial history is littered with corpses of people, organizations and countries that try to corner supply to artificially boost an asset price. And in bitcoin, the hoarders are collectively trying to do what the Hunt brothers tried to do with silver, what Malaysia tried to do with tin and what China tries to do with rare earth elements. It doesn’t work because cornering supply has never guaranteed long-term price rises and if everyone hoarded, it would make bitcoin have zero economic value because there would be no circular flow of income (see also the coordination problem below in #4). Hoarding does not help the bitcoin economy at all, in fact it stifles its growth as its clamoring for traction and mass acceptance. It locks up bitcoin in a place where its not being cycled back and forth making it scarce and therefore making it economically unviable as a currency and as a means of transaction. Hoarding in no way makes bitcoin a viable solution in the medium to long term. Not to mention if hoarding is done to manipulate price, it may work short-term, but cornering supply has never been a great wealth strategy especially as people and/or governments sniff out manipulation and “change the rules of the game.” Its more of a going bust strategy. And what impacts the demand on exchanges? The volatility in demand (changes in demand) likely comes from the fact that the “fair value” of bitcoin is constantly fluctuating. For instance, every time a new “big adopter” rumor is posted on reddit, a professional exchange opens, an exchange gets robbed, a new central bank paper is released, or a regulator gives a speech — the expected future value of bitcoin changes. For instance, last February, when the market learned up to 850,000 bitcoins may have been permanently removed from circulation (simply did not exist), knowledge that became public due to the bankruptcy of Mt. Gox, prices rose but then fell a couple weeks later when it was announced that perhaps 200,000 coins may have been located in a disused wallet. The market was incorporating changes in supply relative to existing speculative demand. cantly greater than the rate of coin supply growth, people will buy and hold coin in anticipation of future adoption, driving up the current price of coin. While bitcoin’s creation rate is fixed, perma-holding is equivalent to buying a fleet of airplanes and then locking them in warehouses with the belief that merely removing them from the supply chain, that it will increase the overall value of the airplane and/or airline industry. Sure those planes may one day appreciate in value to become highly assessed museum pieces, but this ignores the utility of flying entirely. This is a similar problem with most tokens in the “Bitcoin 2.0” world which purportedly give you access to networks (e.g., pre-paid gift cards). In this case it would be akin to going to the New York subway in the 1980s, removing a handful of subway tokens and storing them in a lock box with the belief that their value will rapidly appreciate. 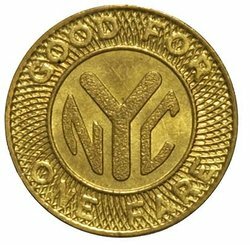 They may eventually become a valuable collectible or antique, but all that happens in the latter situation is that the subway token minter will just create more to replace those removed from circulation; the intended utility is riding the subway, not perma-storing value in the token itself (in December 2014, residents of St. Petersburg “hoarded” subway tokens for a different reason). It likely runs into a coordination problem. Each individual has different time preferences and horizons for how and when they will sell their assets at (in this case, bitcoins). Empirically we have seen this story before with OPEC, in which participants “cheat” and do not follow their internal “Honors Program” — producing more oil than their quotas. And as a consequence, it increases downside pressure on the price. Organizing individuals and jawboning them into selling or holding as frequently occurs on social media with relation to bitcoin and other altcoins. This is what Josh Garza has tried to do with Paycoin, who has promised a variety of price floors (notably $20). Yet because the market is decentralized, he has ended up resorting to tactics such as an ad hoc “Honors Program” in which he (and his employees) try to convince other holders/traders not to all sell at once because this drives down the price below the promised price floor (due to a lack of additional demand). In fact, despite these hopes and dreams, as of this writing Paycoin is roughly at an all-time low hovering around $0.60 per coin. Maybe that will change, but then again, that could be wishful thinking (note: Garza’s GAW mining is likely some type of fraud). What happens if such demand does not materialize to absorb it? Prices drop. And in other cases, an OTC buyer can affect exchange via “buy pressure.” If he begins buying directly from an OTC provider, avoiding an exchange, the exchange loses its buy wall thus affecting price. The sell pressure forces the price down and once a large buyer goes “off-market,” he is weakening the buy pressure. If all the buyers and sellers are “off-market,” we can say that exchange price and price discovery is distorted. As my friend Raffael Danielli recently said, “Information is never off-chain and ultimately information makes the price.” Consequently today information spreads very quickly and if a broker can make money because he facilitates “off-chain” transaction and knows “better” what the real price is then game theory dictates he should take advantage off this (investment banks do the same with OTC). So in addition to partnership agreements, they probably also sell somewhere else to mitigate exposure to this volatility. In addition, many miners have to finance their operations and at current prices of $410, roughly $1.6 million is created every day via block rewards and it has to go somewhere. Fewer people buying? Down we go. On almost a daily basis there is a discussion on reddit or Twitter about merchant acceptance and how the increase in adoption of bitcoins for payments by merchants should eventually be reflected in higher market prices of bitcoin itself. This reasoning is problematic for a variety of reasons but most importantly: empirically it has not happened because it doesn’t account for any changes in consumer demand for the token. Why haven’t consumers increased their demand of cryptocurrencies for retail transactions? Volatility in the price of bitcoin should not impede retailer acceptance of bitcoin, in our opinion, as merchants and payment processors are entirely shielded, and we expect consumers will be shielded in the future. Is Bitcoin establishing itself as a successful payment method? In general, a buyer and a seller can agree on anything to be used as money (both regulated and unregulated payment methods) in a specific transaction. Consequently, virtual currencies may also be used as a payment method if both sides agree. The basic problem for every two-sided market is, however, that it needs “critical mass” on both sides for it to function. For payment cards and other payment instruments, reaching critical mass requires having enough merchants who accept the payment instrument and enough users who want to use the payment instrument so that it becomes attractive for other merchants and other users to join, thereby accelerating the network effects. There are now over 100,000 merchants that now accept bitcoin for payments, up from ~20k last January. At this rate, by the end of next year, there will probably be more merchants that accept bitcoins than actual on-chain users of bitcoin. While any number of reasons are stated for why merchants could and should continue supporting bitcoin, unless consumers use it on a regular basis, continuing to train employees on how to accept it at point-of-sale consumes is an opportunity cost for merchants as those resources could be used for other purposes (there have been several recent threads on reddit from Wholly Hemp on this issue). Recall that there has likely been no change in aggregate retail usage by consumers this past year. That is to say, while nominal on-chain transaction volume may have increased, the aggregate, the total amount of bitcoins used altogether for retail commerce has stayed roughly the same (the rest is apparently superfluous activity). If you are a merchant, why should you continue to support a foreign currency that costs more to support than you save by accepting it? Again, maybe this will change in the future and more merchant adoption does, for some reason, spur consumer usage. The basic idea of this argument, from among many organizations such as Pantera Capital (a fund dedicated to Bitcoin-related investments), is that if bitcoin is the digital equivalent to gold or silver — or is even in fact superior to gold and silver — then should it not follow that its market cap should absorb some percentage of these metals? 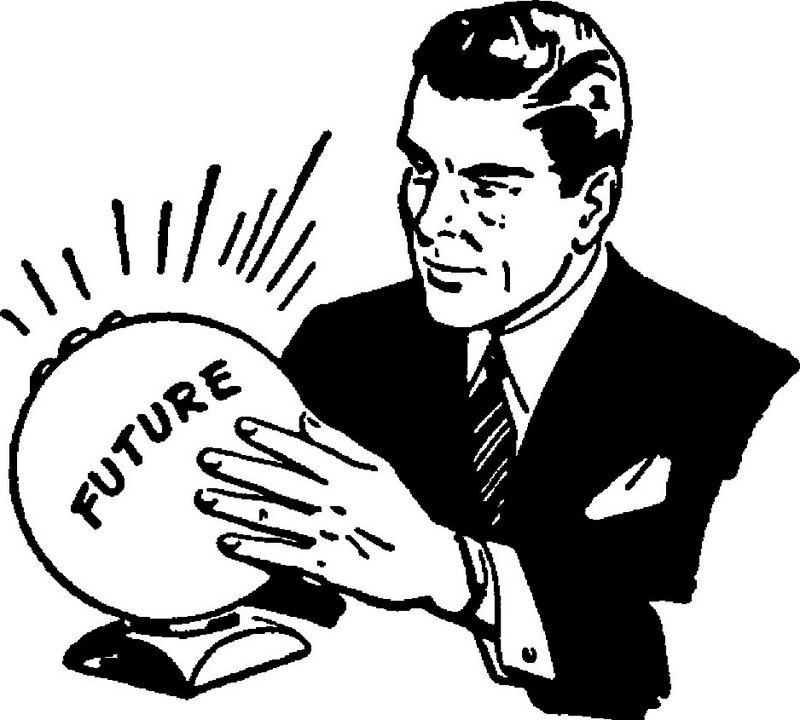 While some of their 2014 predictions haven’t panned out (recall “interest” versus “adoption”), perhaps future events will swing their way and change with the advent of new investment vehicles like GBTC or ETFs. Again, that chart above states that if bitcoin absorbed the market cap of gold, each bitcoin would be worth as much as $550,954. And what would happen if bitcoin somehow absorbed the market cap of the world money supply (and payments, remittances, gold, etc.)? It would purportedly reach as high as $4,291,060 a piece. However, under such a scenario, not only does this run into the logistical exergetic issues of the “Million Dollar Bitcoin” (pdf) but variations of this argument also involve supplanting some percentage of a payment rail. For instance, if the Bitcoin network captured X% of the daily transaction volume of Visa or ACH then it should create additional demand for bitcoin, bidding up the market value to new highs. But this could be a non sequitur. Just because supporters find value in this “virtual currency scheme” does not mean the rest of the market will. Perhaps they will, but in this circumstance, this tech is not being built in a vacuum so maybe not. One additional challenge with the X%-of-incumbents market share argument (and this occurs in every industry) is that it assumes that market participants (Alice and Cathy) are willing to go through the frictions to use Bitcoin, the network instead of existing rails or products like Apple Pay. Or that Alice and Cathy perceive bitcoin, the asset, the same way as some backers do. It could happen but is conceivable that it may not as well (to be even handed, there are any number of investors and entrepreneurs that have bullish views, Pantera was just used as an example). In terms of pricing bitcoin, equity models do not work (no dividends, no predictable cash flows) and forex models also don’t work. At this moment I would value Bitcoin somehow like gold, meaning lots of speculative value and little intrinsic value. When people make those comparisons with precious metals they usually assume that “what if Bitcoin became as big as the market cap of xyz”. More realistically would be to assume “what if Bitcoin became x% as big as the market cap of xyz” with x being (a lot) smaller than 100 because both are competing for the same market share (not entirely true but to some degree). This also touches on the binary outcome argument: that bitcoin will either go to the moon or fall to zero. This is a false dichotomy. Just as it would be fallacious to assume that a new car marquis will absorb all of the market share from the rest of the industry (or none at all), or that a new computer company will similarly displace all incumbents (or none at all), so to is it incorrect to assume that a cryptocurrency only has two directions to go: vaulting into geosynchronous orbit or crashing on the launch pad. What happened to something in the middle; remain-a-viable niche? To cut to the chase, all bitcoin technical analysis has about as much scientific predictive power as phrenology does. Not only is the market illiquid and manipulable (see Willy Bot) but there is (probably) still no real fundamental value beyond the transactional demand floor set most likely by the demand generated through the trade of illicit goods and services. Perhaps that will change in the future, but maybe not. For instance, Ryan Selkis (“Two Bit Idiot”) recently performed a back-of-the-envelope calculation to create an estimate for “transactional demand” — dialing down to a figure of $0.25 per bitcoin. A year and a half ago, when the market price of a bitcoin was $143, Rick Falkvinge put together perhaps the only analysis of transactional demand generated by illicit trade (e.g., online gambling, dark markets, Silk Road, etc.). Based on his own break down of the velocity of coins it amounted to roughly $1.12. Everything on top of that is based on speculative demand. What about normal products and services? To get a ballpark understanding, I contacted Automattic (the parent company of WordPress) and asked politely if they could share how much revenue they have received in bitcoin, being one of the highest-visibility brands ever to accept bitcoin. The answer came quickly – “a couple of hundred dollars worth, so far”. If the highest-visibility brand accepting bitcoin has had less than two bitcoin in revenue in total, then for all intents and purposes, there is currently no measurable bitcoin economy outside of drugs and gambling. We will not disclose that type of information since we keep our financial information private, as well as any information as it relates to our users. If you have any follow up questions, or concerns, please do not hesitate to reply back. Fast forward to last week, Matt Mullenweg, co-founder of WordPress explained that bitcoin was recently dropped as a payments option (it may be added again later). Why? The volume has been dropping since launch, in 2014 it was only used about twice a week, which is vanishingly small compared to other methods of payment we offer. The takeaway should not be seen as “bitcoin does not have value” or that “bitcoin will not increase in value” or that even “bitcoin will not displace gold as a store of value.” It clearly does have some kind of value to thousands, perhaps enormous value and utility to hundreds of thousands of traders, merchants and consumers of all stripes. But in almost every case above, as well as many more often stated on forums, the argument is typically from a supply-sided viewpoint and not the demand (see Steve Waldman’s comments from the Cryptoecon event). Historically most of the speculative demand seems to originate from a variety of investors with high risk tolerance and low time preference, with the expectation that prices will eventually go up (for a variety of reasons). While it could change, empirically, we see that in general most participants are still holding coins and not using it for trade or commerce.6 And without any additional actual use-cases that generate transactional demand or additional aggregate demand from outside investors, it is likely that the bitcoin price will largely stay within the range it has seen this past year. After all, why would it increase just because a large whale has moved a significant quantity to a cold wallet? The Bitcoin Foundation announced today a partnership with Bitcoin companies BitFury, BitGo, Tally Capital, ChangeTip, and Bitcoin Foundation lifetime member Bruce Fenton to engage theAudience – one of the world’s largest multi-channel publishers of social and digital content. theAudience’s team of digital storytellers will work closely with these groups to launch a multi-faceted social and traditional media campaign to educate businesses, consumers, and society at large about Bitcoin. Is this the same type of payola that “Tom Butterfield” investigated last summer? The downside of this “educational” push is now any time there is “good” news, we may have to consider the source to find out if it is organic or just a sponsored puff piece. Though in the end, it probably doesn’t really matter what we think or publish, what matters is — like all markets — is what the actual traders on markets think. And as an aggregate of their demand relative to the available supply on exchanges, the value is around $270 today. Perhaps future expectations of utility and value will dramatically change once the BitLicense is fully resolved and professional exchanges such as Gemini and LedgerX come online. Is there a way to model prices? Future research could look at breaking down a cryptocurrency into consumption segments/tranches just as gold is typically done: (e.g., jewelry, investments, industry, etc.). Researchers may also be able to build a short-term sentiment index of large traders and market makers. For instance, “accelerating merchant adoption” is typically mentioned as a bullish catalyst. Maybe that’s true in the long-run but in the short-run it probably isn’t (as described above). In a first step someone could create a simple regression model to measure the coefficient of “one unit of market adoption” on the market price. Then in a second step make some assumptions about market adoption for all of 2015 and use the estimated coefficient to derive (one small part) of the future price. If someone does it like this for the most important market actors and factors, you might be able to derive a future price that is more than just a gut feeling. Share the post "What is the “real” price of bitcoin?" Let v(t) denote the purchasing power of bitcoin (or USD) at date t.
Let R(t+1) = v(t+1)/v(t) denote the (gross) rate of return on (zero interest) money. Since money (BTC included) is an asset, it must earn an expected rate of return E[R(t+1)] that competes with other forms of wealth. We might make adjustments based on liquidity premia etc, but to a first approximation, let’s just say that the expected rate of return from holding BTC must be about the same as holding any other asset. This is basically the EMH. And it is a compelling argument (just do the counterfactual). So, for those people expecting huge capital gains from holding BTC… they may turn out to be correct ex post but, if they are, they would just be lucky. The same holds true for any other asset. Moreover, the EMH tells us that the value of BTC v(t) must follow a random walk with drift — the best forecast for tomorrow’s BTC price is today’s BTC price (plus a modest drift term). The EMH above only pins down the expected rate of return on an asset — it does not have anything to say about the *level* v(t), only its rate of change. It is unclear what, if anything, pins down v(t) for BTC, or any fiat object. There are some theories, but in general, I think that v(t) may be indeterminate (i.e., the equilibrium v(t) could be a self-fulfilling prophecy). If this conjecture is correct, then one could imagine discrete jumps in v(t) that happen for no good reason at all (pure psychology), without altering the expected return properties of the asset. So, for example, the BTC price could suddenly drop from $300 to $100 and at the same time be a very good investment because if you buy it at $100, it is still expected to generate a competitive return. But this does not mean that the price might not jump down again to $50, or, indeed, up to $150. One limitation to this approach is that EMH probably more appropriately applies in a normal, more highly liquid market with professional traders that are better informed and have equal access to information (there are currently a number of information asymmetries) and in which financial controls are the norm and not the exception — recall that there is no “neutral” exchange in the cryptocurrency world, all “exchanges” are effectively broker-dealers. The “argument” that “if people hoard bitcoins, their price will somehow rise” is not an argument. This is how monetary demand for a good is defined and this is what constitutes the medium of exchange function. Of course, there are other factors influencing the price. Hoarding also has a positive effect on liquidity, thus contradicting your argument that this causes slippage. The term “transaction demand” does not represent demand from economic point of view, it’s a misnomer. It’s a consequence of demand, not demand itself. The takeaway should be that hardly any pundit (pro- and con-) understands the demand for Bitcoin, and waste their time on collecting empirical data and squeezing them into meaningless conclusions. BTW Cointelegraph interviewed me as well, but I said I don’t know what the price would be so they didn’t put my part into the video. Bitcoins don’t have a use-value other than exchange, like airplanes, so by holding them you’re not really missing out on anything. When you spend bitcoins, you don’t get value aside from the value of their market price at the time. But you also get that value by holding them.